I can't believe it has almost been a week since my last post... With school holidays ending and a new term starting, the days have slipped through my fingers faster than sand. However, we have all been very busy with our makings over the last week and I've managed to catch a few of them on camera before they were sent out to the world. Above are Hugo's plans for a butterfly tree hut. Don't you love the flowers and the big smile, our plane tree is very friendly. I've been crocheting lots and lots of gardenia floral brooches for my friend's shop. I have made so many now that every time I open my hands I seem to find another one unfurling in my palm. My roses beginning to flower again. There are so many tight green buds springing up that the house will be awash with them in a couple of weeks. The boys had to have some injections for various things a couple of days ago. Archie was keen to be photographed with his reward... a packet of Smints (they were both desperate for them - I really don't understand, wouldn't you prefer a packet of Smarties?). He was so brave, volunteering to go first so Hugo wouldn't have to and then keeping a poker face during the whole procedure so as not to alarm his little brother. The day after, Hugo decided he needed to have Ted Ted at school with him. We were both a little afraid his furry friend may get lost so he made a paper one to take with him instead. I wish we thought of this when he was at pre-school as I lived in constant fear of T.T. being left behind. I love the placement of the face stripes - oh yes, T.T. is really a cat. One of Hugo's friends is turning six on the weekend. I decided to make her a floral head band which has really turned into one of my highlights for the week. I still have a few more flowers to stitch on but fortunately Tinkerbell was very happy to model it for me. She loved it... no, really. I had better pop away and start making up the guest bed as my mum is flying to New Zealand tomorrow. I can't wait!!!! I am amazed by how focused and inspired I feel coming out of these school holidays. 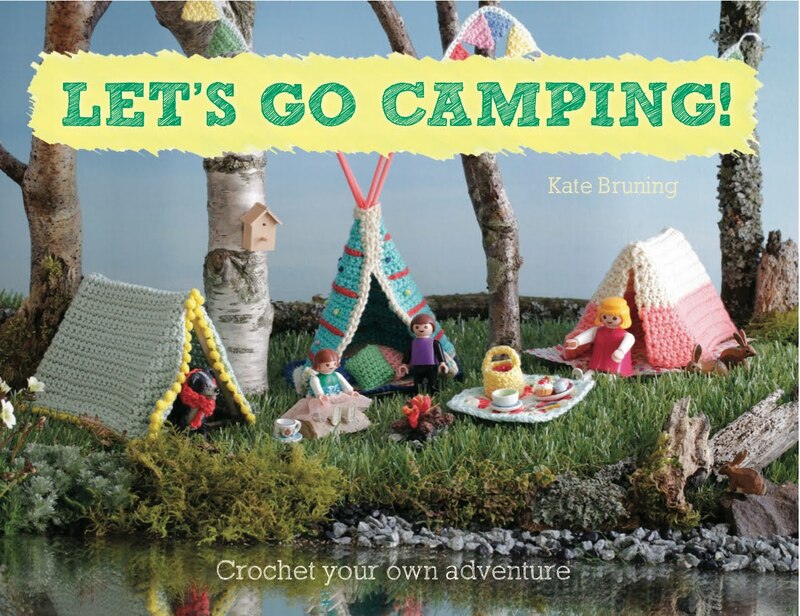 The last three weeks have seen so much knitting, crocheting and reading AS WELL as quality time spent with the boys. I am slightly gobsmacked. I do enjoy school holidays, I do. It's just that usually a huge amount of work goes into keeping every one happy (which of course is not always a possibility) whereas this time, we have all hit the relax button together and been on the same wave length. I even managed to crochet some more Floss Bunnies for my friend Shar while watching the boys play cricket together (which is an incredible thing to happen as we are not particularly sporty). And then of course taking the obligatory photo of them swimming in clean clothes. Miracle of all miracles, we went away for a couple of nights to the grandparent's bach (holiday house) and wait for this..... JONNO CAME!!!! From the end of June when calving begins until almost November, it's virtually impossible for Jonno to leave the farm. Thanks to my parents in-laws' insistence and farmy help, he managed to come with us. AND he is even having most of this weekend off. The boys have been sent off to buy take-aways as the fridge seems to have developed a strange condition where all of the vegetables have turned yellow and sort of fluffy while we have been away. None of us are willing to eat anything that dwells in there. With fingers crossed (and aside from the whole Rena disaster), I can happily say that our school holidays have been fantastic. Very relaxing and lots of fun. We haven't really gone anywhere or done anything 'exciting' such as the movies, etc, but instead have been quietly at home having lots of opportunity to make things and chat and read books. Hugo has been especially busy with the whole making business, in the photo above you will see the playground he made for his pokemon. He also buried old toilet paper rolls all over the lawn leaving the ends poking up so he could have telescopes into the earth. You know he is happy when you hear the rip, rip, rip of masking tape. I have been spellbound by my jumper, it really is one of the most enjoyable things I have ever knitted. Ooooh yes, I received something very exciting in the mail yesterday but I will show you more next week. Here is a little glimpse though, I wonder if, by looking at the label you can guess where it came from. The boys have discovered some clay on the farm... hours of fun. My new pillow cases are working out well for me - they do help me to have wonderful sleeps. There was a question in the comment section wondering how I made the holes for the crochet. I actually blanket stitched along the edge first and then crocheted onto that. I have just finished reading 'The Dovekeepers' by Alice Hoffman which I just adored. If you like great historical fiction than this is for you. And a last little project to show, a birthday card that Hugo and I made together and which shakes. I saw a tutorial on it somewhere online (I can't remember where... I will post when I do) and we couldn't resist. I really want to make a grownup version with vegetable seeds and glitter... a grownup-ish version I guess. I had better go and retrieve dinner from the oven. Thank you so much for all of your lovely and heart felt wishes (not heart welt fishes as I went to write) for our little corner of the world. It does mean so much. Now, as promised yesterday, I have lots of beautiful things for you today. First of all, some snippets from my garden. Above is my Dogwood (what a name) that flowers and flowers and flowers by our front door. It's autumnal foliage is spectacular as well. And as for my giant 'Awanui' blossom tree, it has had it's best year ever and is only now beginning to lose its petals. This is the first time that rather than mourn the passing of the blossom, I have instead reveled in it. My garden is coated in a thick carpet of pink petals and even my car looks as though it has been part of bridal procession and is covered with confetti. When the wind blows, our tree makes it look as though it is snowing. These photos were taken at the very beginning of the petals' fall so imagine it even more pink now than this. I've been making new pillow cases which we have been in dire need of. I bought some 100% cotton japara from Spotlight and they have made the most deliciously crisp pillowcases. Of course... a bit of crochet around the edge made it more fun. 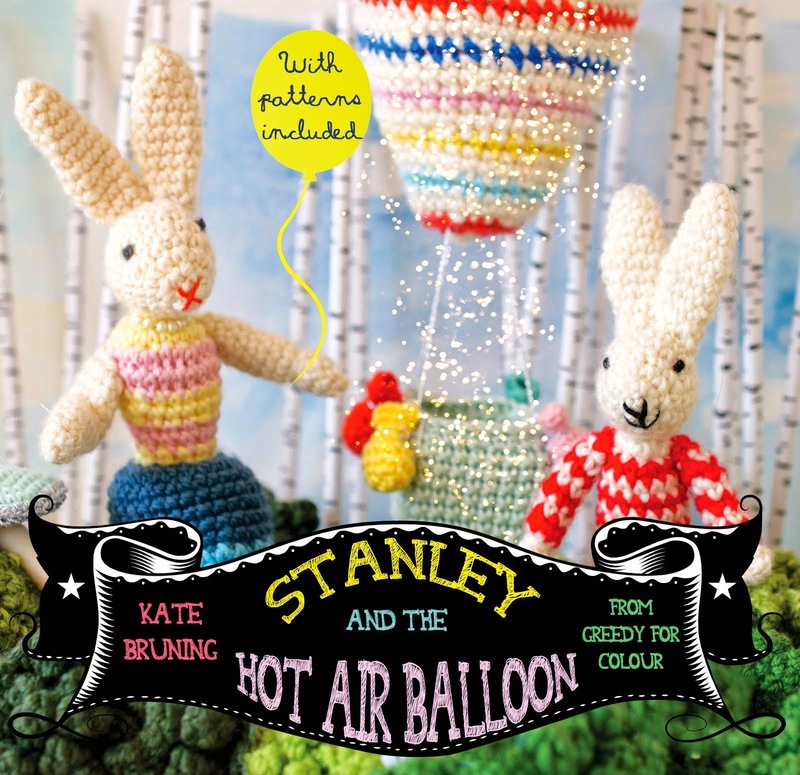 And I have been knitting a new jumper from the book featured below. It is such a wonderful pattern that I almost feel I am reading a great book as I can't what happens next with each new row. This book is the best knitting book I have read in ages, it is very, very rare to find myself desperate to knit most patterns in it. It's quite hard to make out the authors, they are Cecily Glowick MacDonald and Melissa LaBarre. My mother-in-law gave me a gift voucher to my favourite wool shop and these are some of my purchases. 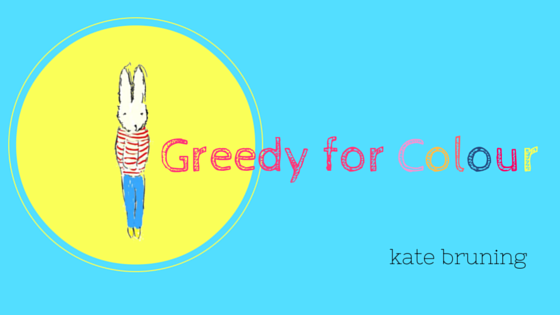 I do love circus colours at the moment. And this is what Jonno gave to me - or should I say made for my birthday on Monday. It is the most brilliant present I could ever ask for, a pergola (or as I call it, my outside garden room). When the weather clears up - it has been raining constantly since Monday - I will take some more photos but this will do for the moment. There are blueberry bushes planted along both sides with wisteria vines to eventually grow over it. I will also plant one of my favourite roses, Pierre de Ronsard at the front... wahooooooooo!!!!!!!! Just a little note to say that I am still here, but just completely devastated by the Rena disaster off our coast. These beaches are the ones that we are bringing our boys up on, that Jonno was brought up on and one of the reasons we live in this part of the world. The destruction caused by this ship's reefing is unimaginable and the impact on our local ecology and dare I say economy is beyond nightmarish. It is rare that I become angry, but this is one of those times. A shipping company's accountability is capped at 14 million dollars - and our country, already ravaged financially by the Christchurch earthquake will now have to spend hundreds of millions of dollars to take care of this disaster. I do think, call me crazy, that the countries to which the shipping company pay taxes should also shoulder responsibility. Sorry, I know this post is out of place on my blog and I promise you beautiful things for tomorrow, just not tonight. 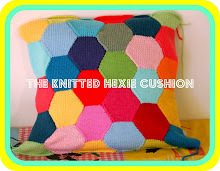 A Knitted Hexagon Cushion Pattern!!! Okay, here we go, the pattern I have been promising. With this pattern, the hexagon is taller than it is wide but I have found the proportions look a little better (to me) this way. Because they are worked in strips it doesn't impact on the way they fit together but if you are of the school where all sides must be equal, work on a 12 stitch to 24 stitch ratio rather than the 10 stitch to 24 stitch that I have used below - if you do this you should knit five full hexies and one half hexie (which will make sense when you read the whole pattern). Leave any questions or queries in the comment section and I will do my best to answer them. This pattern will make roughly a 40cm x 40cm square when using 4mm needles and 8ply wool. Of course, it all comes down to you though so experiment away with bigger/smaller needles and fatter/thinner wool. Let me know how you go! kfb - knit front and back of stitch. s1, k1 psso - slip 1, knit 1 pass stitch over. Row 1. p to the end of the row. Row 2. kfb in first stitch, k to the second last stitch, kfb into the last stitch. Repeat rows 1. and 2. until there are 24 stitches. Row 2. k1,s1, k1, psso, k to the third stitch from the end, k2tog, k1. Repeat rows 1. and 2. until there are 10 stitches. *Change colour on the purl row and repeat the increase and decrease instructions three more times. It is quite good to leave a reasonable tail when changing colour as they are very handy to sew the strips together with. *To finish the strip so it can form a square, follow the increase instructions until there are 24 stitches. Purl one row and then cast off. *Repeat the instructions until you have knitted 6 - 7 strips depending on your tension (I knitted six strips and then after sewing them together, gently stretched when pressing with an iron) to make a square shape. Sew strips together and gently press. The hexie cushion is almost finished. I just have to fiddle around with the sides and then I can post the pattern. It has been such a pleasure to knit and a real joy to see all of the colours coming together. When you knit and watch t.v. do you sometimes then associate the garment and the movie/show forever after. This cushion makes me think of 'The King's Speech' which is a very nice thing. This little thing I am not so sure of. Lolly teeth never fail to entertain. The first rose of Spring. Even as I type this I can smell it's perfume wafting my way. I almost feel like weeping to think all of my beautiful roses are beginning to bud up. I know these birds aren't real but this did strike me as a little cruel. Well, I don't know how it is for the rest of the world - and certainly not for the northern hemisphere but here, in this little patch of New Zealand, Spring has definitely sprung. The petals from our blossom tree are floating their way around the garden lazily on the warm air currents and coating the ground pink. My broad beans and snow peas are covered in little flowers and I know that it will not be long until we are feasting upon them. I always forget how much I love Spring until it comes... oh of course... and it is almost my birthday.... (the 10th of October if anybody is wondering). Anyhoo, I had better rescue dinner from the oven. Food would be such a good way to end the day.